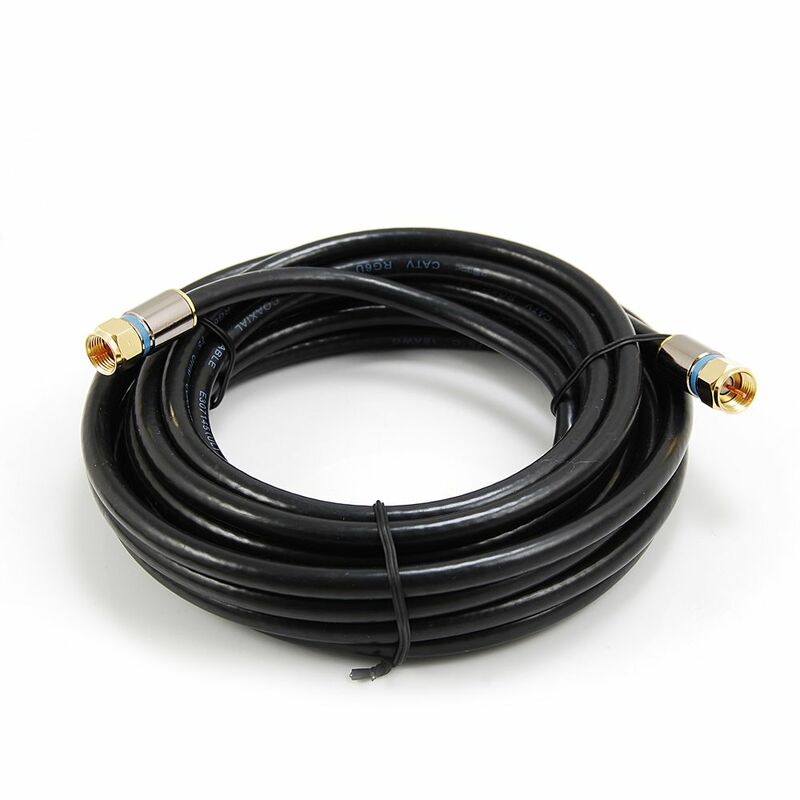 15 Feet BLACK RG6 COAXIAL CABLE The RG6 coax cable is used for CATV-community antenna television and VCRs and CCTV-closed-circuit television. It uses F-plugs to connect on both ends. It features low-loss, double shielding which ensures less interference in your picture and sound. 15 Feet BLACK RG6 COAXIAL CABLE is rated 4.6 out of 5 by 14. Rated 5 out of 5 by BOB from I found the connectors at the ends of the cable... I found the connectors at the ends of the cable to be stronger and a much better design than my previous cable. I replaced my original cable after the end fell off and could not be re-connected. I thought my TV or cable box was acting up. After installing the Commercial Electric cable, the TV hasn't acted up and seems brighter and almost clear enough to be Hi-Def. Rated 5 out of 5 by DavePDX from This cable has sturdy connectors on the ends & carries the signal very well. This cable has sturdy connectors on the ends & carries the signal very well. Rated 4 out of 5 by Howie from Well made, works as advertised.... Well made, works as advertised.